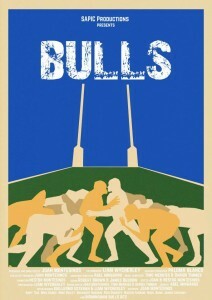 BULLS focuses on a current taboo within sport, homosexuality players. The short film explain the reason as to why gay men moved from ‘traditional’ rugby leagues in favor of gay rugby tournaments. Through interviews with the rugby players, BULLS try to break the stereotypes society has of the gay world, about the absence of openly homosexual players in sports teams and the idea that gay men don’t take on sporting roles because they aren’t manly enough. Rugby, along with its ‘matcho’ connotations, is a suitable sport to help break the gay stereotypes. BULLS has been selected in 15 different film festivals around the world: UK, Greece, Switzerland, India, United States, Brazil, Paraguay, Perú, South Africa and Spain.